One of the hallmarks of a metropolitan city is how fast its people embrace disruptive technologies and how effectively its various public and private stakeholders work together to sustain these technologies on a larger scale for everyone’s long-term benefit. Winnipeg’s track record in this respect is checkered, with locally based triumphs like food-delivery disrupter Skip the Dishes being offset by outdated regulations creating roadblocks for a juggernaut like Uber from taking root here and disrupting our taxi industry (although this looks set to change, given impending provincial legislation to dissolve the Manitoba Taxicab Board and Mayor Bowman’s vocal support of ride-sharing services). The most recent global player to participate in this local push to encourage innovation is Airbnb, a leading disruptor in the accommodation space, which has made clear its willingness to work with applicable agencies and authorities to address the imbalance existing between its members and the traditional hotel industry. Currently, Winnipeg hoteliers are subject to a five per cent accommodation tax that partly supports the city’s tourism industry. The present tax regulations do not require Airbnb to collect this accommodation tax from its inventory of hundreds of Winnipeg properties. According to the company, typical Airbnb members host guests 53 nights each year and earn about $3,650 annually from their Airbnb activities. Even if we assume a conservative local estimate, more than $1.8 million in revenue is not subject to the accommodation tax. Although the resulting tax windfall would be relatively small ($75,000 or so), the implications of this inequity are more significant than they first appear for our city. EDW recognizes the increasing popularity and importance of Airbnb in the accommodation space. 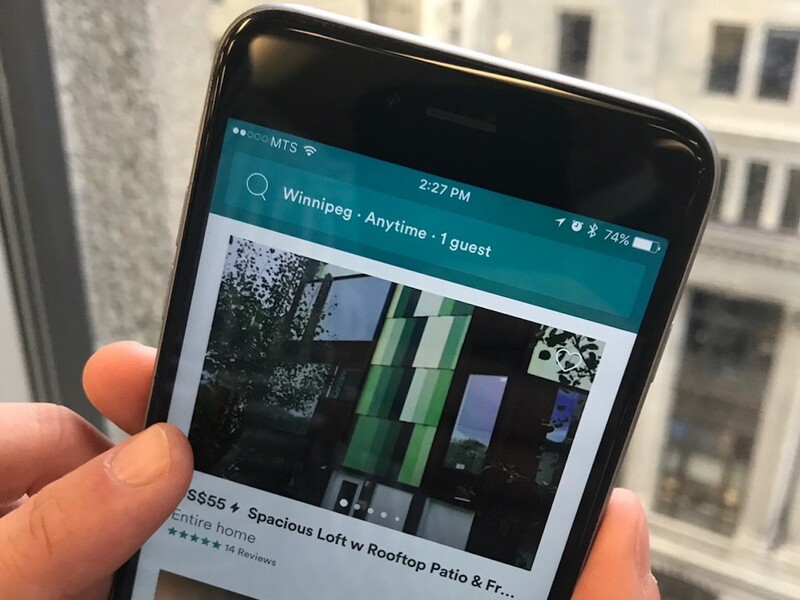 On Tourism Winnipeg’s website, it’s important we offer visitors all possible lodging options—including Airbnb’s expansive network—to attract even more visitors to Winnipeg. However, the existing tax-related disparity makes Airbnb’s inclusion unfair. That’s why EDW supports the proposed modification of the accommodation tax legislation to incorporate Airbnb locations in the City of Winnipeg’s tax collection mandate. Without a level playing field, Airbnb knows it will never be able to fully engage with local tourism bureaus or with the communities they represent. From both an optics standpoint and an economic one, this situation is far from optimal, so the company is working with multiple destinations (including Toronto and Victoria) to enable similar amendments permitting the collection and payment of an accommodation tax on behalf of its members. The short-term benefits of this amendment are obvious: accommodation tax dollars will increase for designated recipients, and the industry will be more equitable for Tourism Winnipeg’s stakeholders. But an even more consequential reason to ensure this amendment is approved has nothing to do with Airbnb itself and everything to do with how Winnipeg is perceived by internet-based behemoths and startups (and other similarly innovative companies operating today) looking to introduce disruptive technologies into our community. In many respects, the decision comes down to this: Winnipeg can either get on board or risk missing the boat altogether. If recent history teaches us anything, it’s that the kind of disruption now occurring—to say nothing of whatever’s coming next on this ever-shifting horizon—will herald immense opportunity for cities that fully commit to this new reality and profound risk for those left behind. Today’s community leaders, political and otherwise, have a daunting responsibility because they must navigate the way ahead in admittedly murky and often unexplored waters. But one thing is clear: Winnipeg needs to be bold if we’re to be viewed as a sophisticated city that facilitates and celebrates progress on multiple fronts. If the Winnipeg brand can elicit this kind of progressive reputation with international investors, bolstered by relevant examples of effective public-private partnerships that expedite these potentially game-changing innovations, I’m confident Winnipeg’s fortunes will improve across the board. Attracting young talent is crucial in achieving this transition from where we are to where we need to be as a leading intelligent community. The newest generation of workers wants the kind of quality of life exemplified by disruptive technologies and understandably gravitates to jurisdictions that prioritize this approach. Ultimately, Winnipeg’s ability to engage this demographic is contingent on our willingness to collaborate with companies intent on applying clever and economical technology-based solutions to life’s big and small pursuits. What does this mean for our city? It means we need to evolve with the times by enabling a culture that embraces disruption. Compared to other forward-thinking locales, let’s make sure we’re best equipped in the ensuing months and years to tame this elusive beast. Because it’s coming for us whether we’re ready for it or not.